The role that diet plays in development and management of symptoms is a common concern for people with eczema. There is a powerful connection between what you eat and how you feel. An elimination diet is a diet plan that temporarily eliminates certain types of foods that may cause or worsen conditions related to allergy or sensitivity. The eliminated food groups are then slowly re-introduced one at a time to determine which food groups are suitable or intolerable. 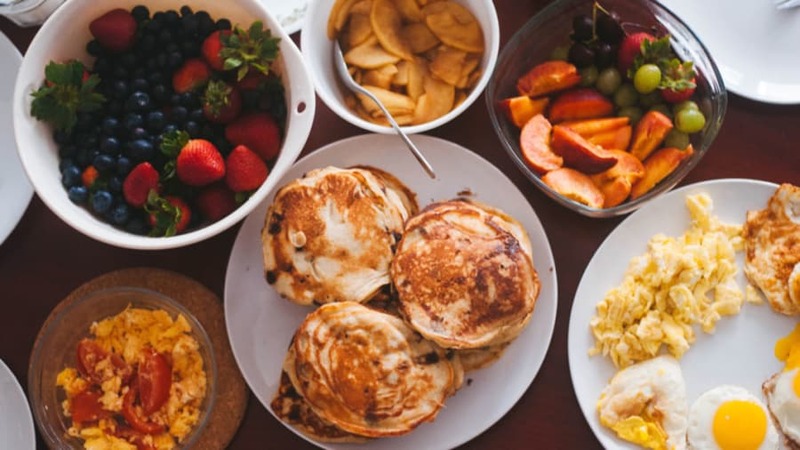 Elimination diets have been used in people with a number of conditions including acne, asthma, eczema, food allergies or sensitivity, fibromyalgia, and chronic fatigue. The notion of an elimination diet comes from the theory that “we are what we eat.” Certain compounds from certain food groups can cause inflammatory and allergic reactions in the gut, which can then trigger a more widespread allergic reaction in other parts of the body, including the skin in the case of eczema. Day 19-20: Stop food B and watch for symptoms. 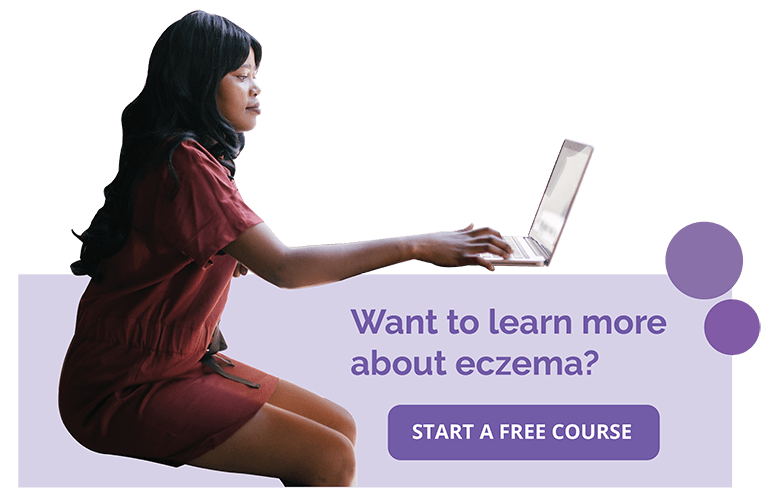 What Do We Know About Elimination Diets for People with Eczema? 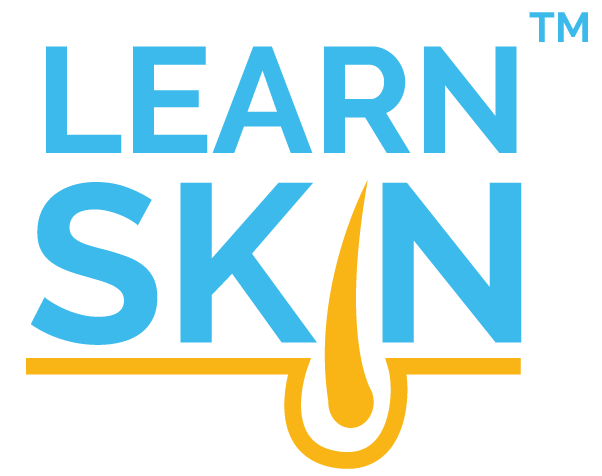 Eczema is commonly associated with food allergy, asthma, and allergic rhinitis, in a process called the “atopic march.” It is believed that exposure to environmental allergens, including ingestion of certain foods, may worsen eczema. Evaluation of eczema flares caused by food allergens typically involves eliminating suspected foods and allowing the skin to clear over several days (up to 1 week), then performing an oral challenge by re-introducing the eliminated foods in a sequential order and watching for the worsening of eczema. The studies on egg and cow-milk elimination diets have conflicting data and most have poorly designed testing methods, sample size, or lack of a control group. The most convincing evidence is found in studies that look at eliminating certain foods against which patients have already had a positive allergy test. In a study looking at the value of an egg-elimination diet for children with eczema under 3 years of age and their breastfeeding mothers, improvement in eczema was only found in younger children between 3-11 months old. When children who previously tested positive for an egg-allergy were put on a 4-week egg-elimination diet, the researcher found that their eczema benefited from the egg-free diet, compared to children who did not undergo the egg-free diet. Other studies include children with eczema who have tested positive for cow-milk allergy. They were placed on formula containing extensively hydrolyzed whey formula (a hypoallergenic formula where the milk protein is completely broken down) that was extensively hydrolyzed/broken down or on a formula containing amino acids (not containing cow-milk proteins), and all patients had improvement in their eczema after 6 months. However, the researchers did not have a control group to study how some of these children would do if they were to stay on cow-milk. Multiple other studies have found that elimination diets tailored based on allergies to certain foods identified through a Double Blinded Placebo Controlled Food Challenge test (the gold standard method food allergy testing), can improve eczema severity and itch while decreasing the need to use topical steroids. What Are Some Concerns About Elimination Diets for People with Eczema? Restricting calories and certain foods may cause significant harm to the body, resulting in malnutrition and failure to thrive. This is especially worrisome in a growing child. In addition to health risks, following a strict dietary regimen may also impair one’s quality of life. Elimination diets should be discussed with a physician beforehand. What Does This All Mean for Elimination Diets and Eczema? Though there is evidence suggesting that carefully selected elimination diets may be helpful for people with eczema who have been truly diagnosed with certain food allergies (tailored elimination diet), many of the studies are small and poorly designed. Therefore, larger scale, randomized controlled trials are needed before we can conclude the value and safety of various elimination diets in eczema. At the very least, general (a large list of unsuspected foods) and unselective elimination diets should be avoided in order to prevent potential harm. Elimination diets should be implemented under the watchful guidance and monitoring of an experienced and qualified healthcare practitioner. Wuthrich B, Much T. [Acne vulgaris: results of food allergen tests and a controlled elimination diet (author's transl)]. Dermatologica.1978;157(5):294-295; PMID: 150350. Agarkhedkar SR, Bapat HB, Bapat BN. Avoidance of food allergens in childhood asthma. Indian Pediatr.2005;42(4):362-366; PMID: 15876598. Tait C, Goldman RD. Dietary exclusion for childhood atopic dermatitis. Can Fam Physician.2015;61(7):609-611; PMID: 26380852. Nowak-Wegrzyn A, Szajewska H, Lack G. Food allergy and the gut. Nat Rev Gastroenterol Hepatol.2016;10.1038/nrgastro.2016.187PMID: 27999436. Rossi A, Di Lollo AC, Guzzo MP, et al. Fibromyalgia and nutrition: what news? Clin Exp Rheumatol.2015;33(1 Suppl 88):S117-125; PMID: 25786053. Campagnolo N, Johnston S, Collatz A, et al. Dietary and nutrition interventions for the therapeutic treatment of chronic fatigue syndrome/myalgic encephalomyelitis: a systematic review. J Hum Nutr Diet.2017;10.1111/jhn.12435PMID: 28111818. Link to research. Feburary 17, 2017. Spergel JM, Paller AS. Atopic dermatitis and the atopic march. J Allergy Clin Immunol.2003;112(6 Suppl):S118-127; PMID: 14657842. Aoki T, Kojima M, Adachi J, et al. Effect of short-term egg exclusion diet on infantile atopic dermatitis and its relation to egg allergy: a single-blind test. Acta Derm Venereol Suppl (Stockh).1992;176:99-102; PMID: 1476047. Lever R, MacDonald C, Waugh P, et al. Randomised controlled trial of advice on an egg exclusion diet in young children with atopic eczema and sensitivity to eggs. Pediatr Allergy Immunol.1998;9(1):13-19; PMID: 9560837. Isolauri E, Sutas Y, Makinen-Kiljunen S, et al. Efficacy and safety of hydrolyzed cow milk and amino acid-derived formulas in infants with cow milk allergy. J Pediatr.1995;127(4):550-557; PMID: 7562275. Bock SA, Sampson HA, Atkins FM, et al. Double-blind, placebo-controlled food challenge (DBPCFC) as an office procedure: a manual. J Allergy Clin Immunol.1988;82(6):986-997; PMID: 3060514. Marie-Helene G, Anyfantakis V, Guillet G. Food allergen-free diet in severe atopic dermatitis related to food allergy. Indian J Dermatol Venereol Leprol.2011;77(3):332-333; PMID: 21508576.